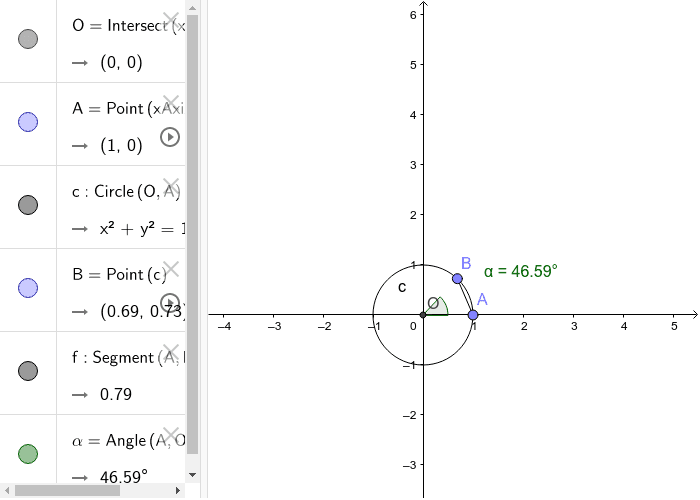 Drag point B around the circle, and compare the angle measure, <AOB, to the arc length, AB. What happens to AB at 90 degrees? What happens to <AOB at 90 degrees? What happens to AB at 180 degrees? Are there any patterns or are there any points where you observe change?